The final tryouts for Canada Basketball’s 2019 U16 National Team are taking place March 27-31 at the Saville Community Sports Centre in Edmonton, and the Alberta Basketball Association is excited to provide several tremendous opportunities for coaches, parents and athletes in the community. 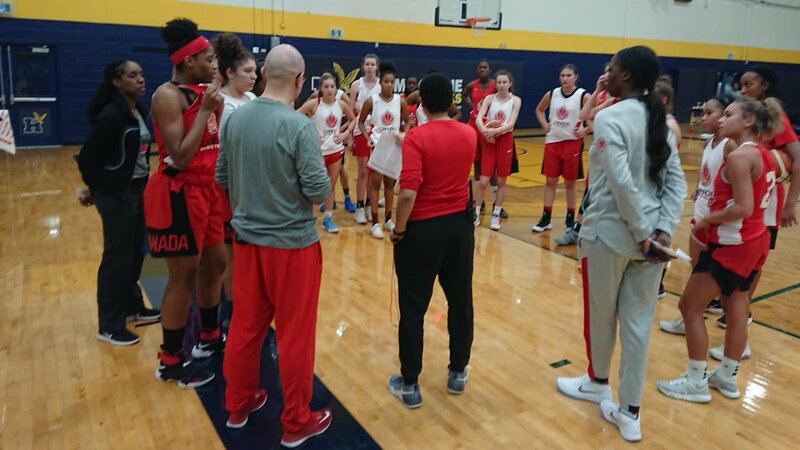 They begin with an open coaching clinic on March 30, when all coaches are invited to observe practice from 9:30-11am, and then meet with Canada Basketball coaches to discuss practice and go through a on-court session, from 11am-1:30pm. March 31 features an open practice, with players, parents, families and coaches all welcome to watch as athletes compete for spots on the team in scrimmages on the final day of tryouts. On April 1, Denise Dignard and Jodi Gram from Canada Basketball’s women’s program will be visiting local schools during the day, then holding a coaching clinic from 6p.m. - 8:30p.m. Locations will be announced. Please visit the Cadette Final Tryout page for further details, updated information, and more about how you can be part of these great opportunities in Edmonton.